Does India really need a costly national health scheme with Rs 5 lakh as insurance cover? The government will pay higher premiums for insurance packages that may not be fully used since many states do not have adequate healthcare infrastructure. One of the major announcements in the Union Budget this year was a new health insurance scheme. Called the National Health Protection Scheme, it is part of the larger programme Ayushman Bharat. 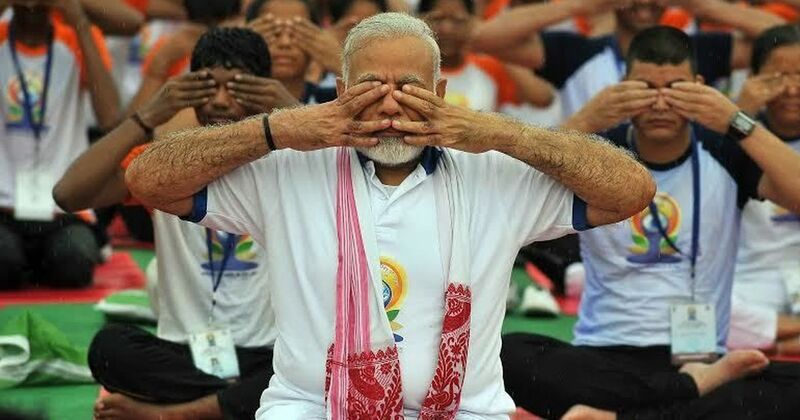 It was widely expected that Prime Minister Narendra Modi would announce the nationwide launch of the insurance scheme on August 15, but reports suggest that only a handful of states are prepared to roll it out. A few state governments are still to join the Centre’s initiative, which aims to provide insurance cover to 10 crore of India’s poorest families for the treatment of serious illnesses. One aspect of the programme that has generated much debate is the provision of Rs 5 lakh as insurance cover for each family. While the generous amount might look appealing in a country where health expenses continue to push people into poverty, health experts say it is neither feasible nor effective. N Devadasan, co-founder and director of the Institute of Public Health in Bengaluru, said the main disadvantage of having an upper limit of Rs 5 lakh is that “the insurance companies will then calculate their premiums based on that and quote higher premiums”. The government’s projected upper limit for premium under the National Health Protection Scheme is Rs 1,082 per family. However, a CRISIL report published in July indicates that Rs 1,082 per family looks too low and a realistic premium rate is more like to be 63% higher at Rs 1,765 per family. Both the cover amount and the projected premium to be paid per family under the National Health Protection Scheme is far higher than the Rashtriya Swasthya Bima Yojana, the existing national health insurance scheme for unorganised workers. The scheme has been operational since 2008 and provides a cover of Rs 30,000 per family per year. The average premium is about Rs 750. Higher premiums under the National Health Protection Scheme will not be a problem for individual patients since it does not have a system of co-payment from beneficiaries. But it will be a problem for the central and state governments that share the cost of premium in a 60:40 ratio. “The government will have to pay out much more for an amount that will not be used up regularly,” said Devadasan. 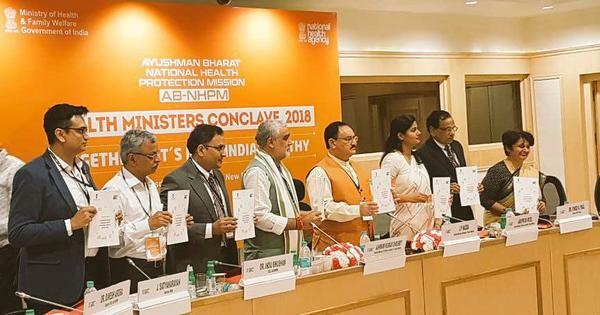 Experts say one reason families are unlikely to avail of the entire cover amount of Rs 5 lakh in a year is simply because of the unequal development of health infrastructure and under-developed health facilities in many states. The Rs 5 lakh cover of the National Health Protection Scheme is much more than the cover provided by fairly well-functioning state insurance schemes, such as those in Andhra Pradesh, Tamil Nadu and Karnataka, which ranges between Rs 1 lakh to Rs 2 lakh. Maharashtra also provides health insurance cover of Rs 1.5 lakh per family per year. In Rajasthan, the Bhamashah insurance scheme provides cover Rs 30,000 per family for minor illnesses and Rs 3 lakh for major illnesses. Tamil Nadu’s health insurance scheme, which was launched in 2009, applies to families with an annual income of less than Rs 72,000. It provides a cover of Rs 1 lakh for 1,205 procedures and a cover of up to Rs 2 lakh for 254 specialised procedures, said a senior official with the state health department. “The total percentage of people needing this higher amount of cover is very low – only about 3%-5%,” he added. Tamil Nadu has also created a corpus for very expensive medical procedures like heart transplants that can run upto Rs 30 lakhs for treatment, but which only a small percentage of the population will need cover for. The corpus fund has a state government contribution of Rs 35 crore. Money that government hospitals receive from the state government under the state insurance scheme also goes into the fund. More than Rs 300 crore has been spent from the corpus to help more than 4,600 beneficiaries. One of the biggest problems with India’s healthcare system is the high rate of catastrophic medical expenditure. That is, families are forced to pay high medical bills out-of-pocket and are often pushed into poverty because of this expenditure. One analysis in 2015 found that 8% of the population in India fell into poverty because of health expenditure. 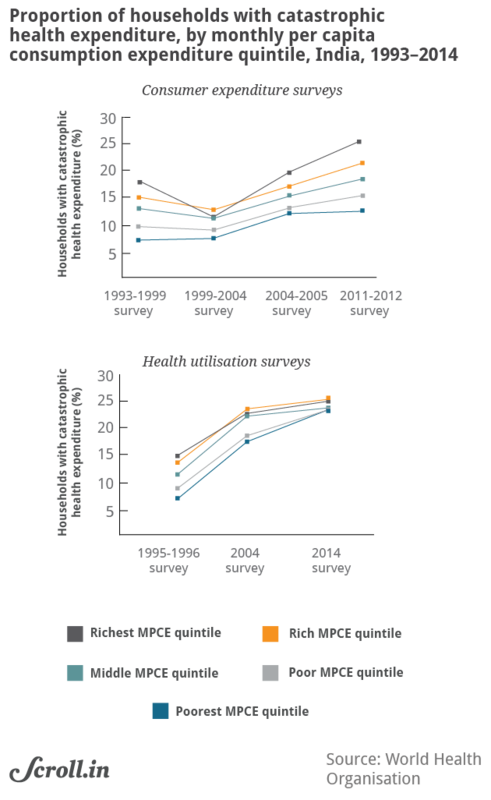 Another analysis, published in 2017, has shown that the proportion of households that have experienced catastrophic health expenditure increased between 1994 and 2014. The impetus behind publicly funded insurance schemes in India has largely been to protect citizens from such catastrophic health expenditure. However, a systematic analysis of these schemes in India has showed that while beneficiaries reported using hospital services more, there has been no evidence of a reduction in patients’ out-of-pocket expenditure or any improvement in their financial protection. Despite such evidence, the government has expanded the national health insurance scheme to operate along the same lines of existing schemes with a much bigger cover amount. The National Health Protection Scheme aims to reach 10 crore families, which is roughly 50 crore beneficiaries. The beneficiaries of the scheme will be the poorest 40% of households in India as determined by the Socio-Economic Caste Census of 2011. In contrast, the Rashtriya Swasthya Bima Yojana was designed to reach 25 crore families below the poverty line but has managed to enrol only 3.6 crore. Apart from below poverty households, the Rashtriya Swasthya Bima Yojana is supposed to cover categories of unorganised workers like construction labourers, domestic workers., railway porters, street vendors, beedi workers, sanitation workers, rickshaw pullers, auto and taxi drivers, mine workers and rag pickers. The National Health Protection Scheme will allow beneficiaries to avail of medical services at public or private sector hospitals that are empaneled under the scheme. A major criticism of the scheme and the high cover amount is that it will divert public resources to the private health sector, which in turn will only result in weakening the public health sector. That begs the question: what is wrong, if the private health sector can provide free and quality treatment to the poor? The problem is the widely acknowledged lack of regulation of private medical practice in India. One of the problems that has plagued the Rashtriya Swasthya Bima Yojana is that of fraudulent claims with hospitals claiming reimbursements from the scheme for tests and procedures that have not actually been performed. Another method of fraud that has been far more dangerous for patients is doctors prescribing unnecessary procedures and surgeries only to claim insurance. For example, in the infamous Bihar hysterectomy scam in 2011, doctors carried out unwarranted hysterectomies on more than more than 700 women for insurance payouts from the RSBY. Similar cases have been reported from Chhattisgarh, Rajasthan, Andhra Pradesh and Karnataka. Under the Rashtriya Swasthya Bima Yojana, the Centre has been paying 75% of the premium cost, while under the National Health Protection Scheme, the Centre will bear only 60% of this cost. “States had expected the support of central government to increase substantially when the sum assured was raised from Rs 30,000 to Rs 5 lakhs,” said Sadanandan. Not only do states have to pay for 40% of the premium charged by insurance companies, if the premium exceeds this ceiling set by the central government, states have to pay the entire amount above the ceiling. By raising public expectation about health insurance cover to Rs 5 lakh, the central government has put states in a tricky situation, said Sadanandan. If states do not implement the scheme, they will both lose central assistance through the scheme and well as political capital. However, when states implement the scheme spending a huge amount of their health budget on it the central government gets the credit. Kerala estimates that 41 lakhs families need health cover and aims to meet this target. However, the state does not expect central government support for more than 20 lakh families. “Given that central contribution will not increase we may need to rework the scheme limiting the amount of insurance to the old Rs 30,000,” Sadanandan added. In Tamil Nadu, since the National Health Protection Scheme is offering Rs 5 lakh cover, the state government is planning to increase its state scheme insurance cover too. 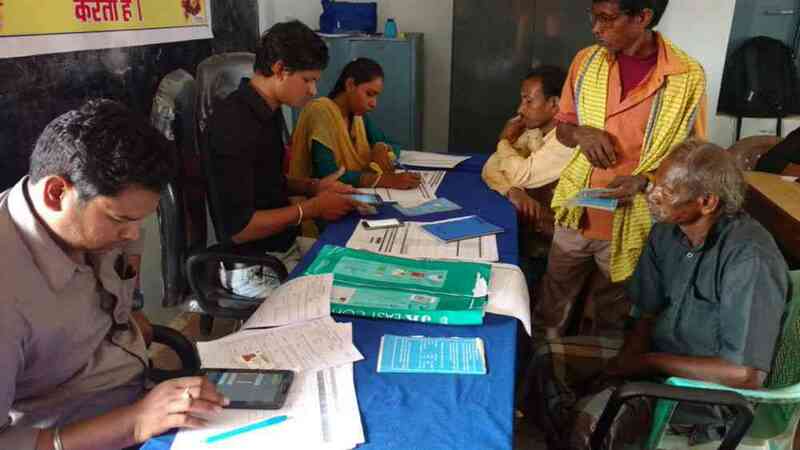 “In principle, we are planning to increase cover for people who are being left out of the National Health Protection Scheme to Rs 5 lakh,” said the senior health official in Tamil Nadu. This is the first article in a two-part series on the National Health Protection Scheme. The second part of this series can be read here.